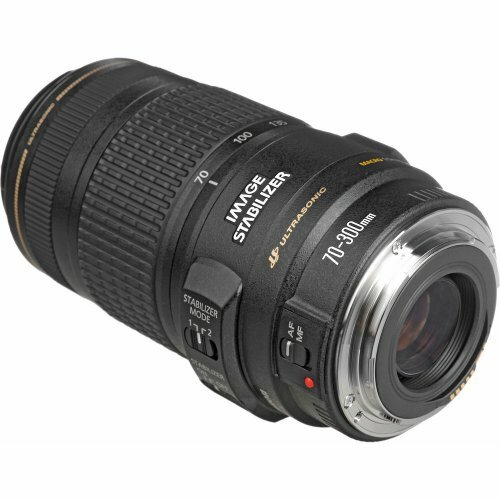 The lens′ USM AF is very quick, smooth and silent, and it features a zoom lock button that keeps the lens safe and secure when not in use or when being used at the shortest 70mm focal length setting. 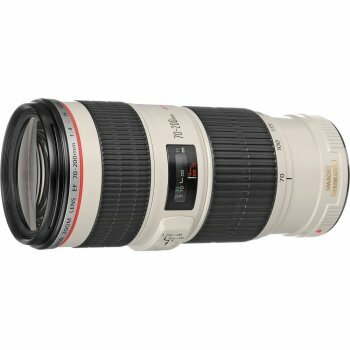 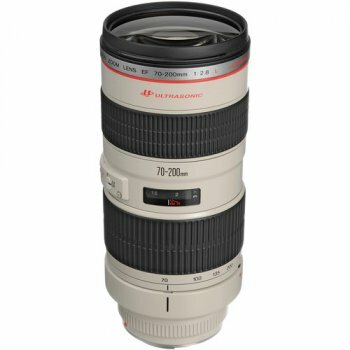 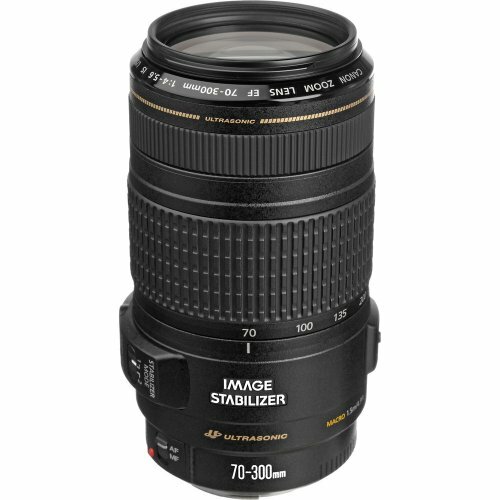 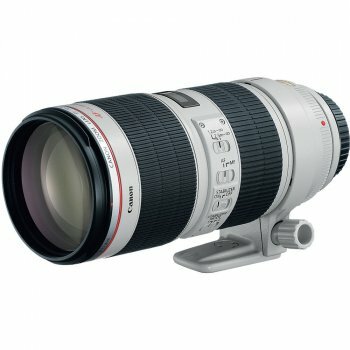 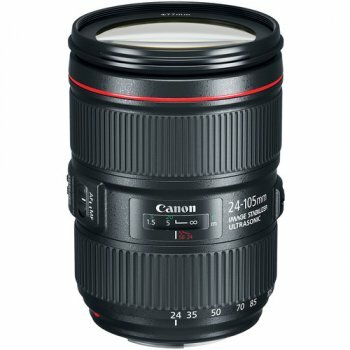 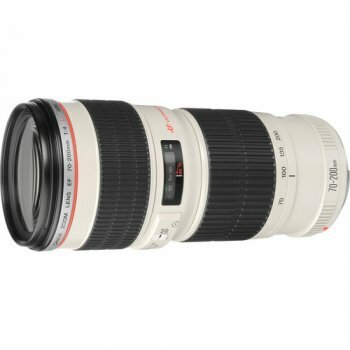 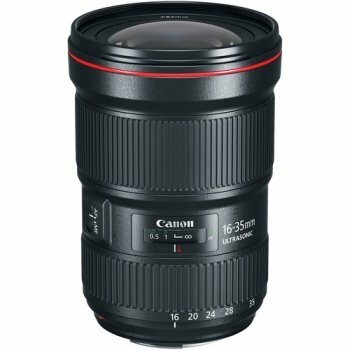 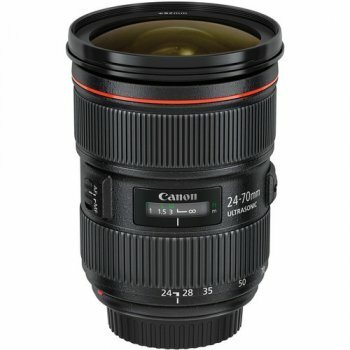 The EF 70-300mm f/4-5.6 has Canon′s "Super Spectra" lens coatings for ideal flare-resistance, and is ideal for travel, sports, and general photographic applications. 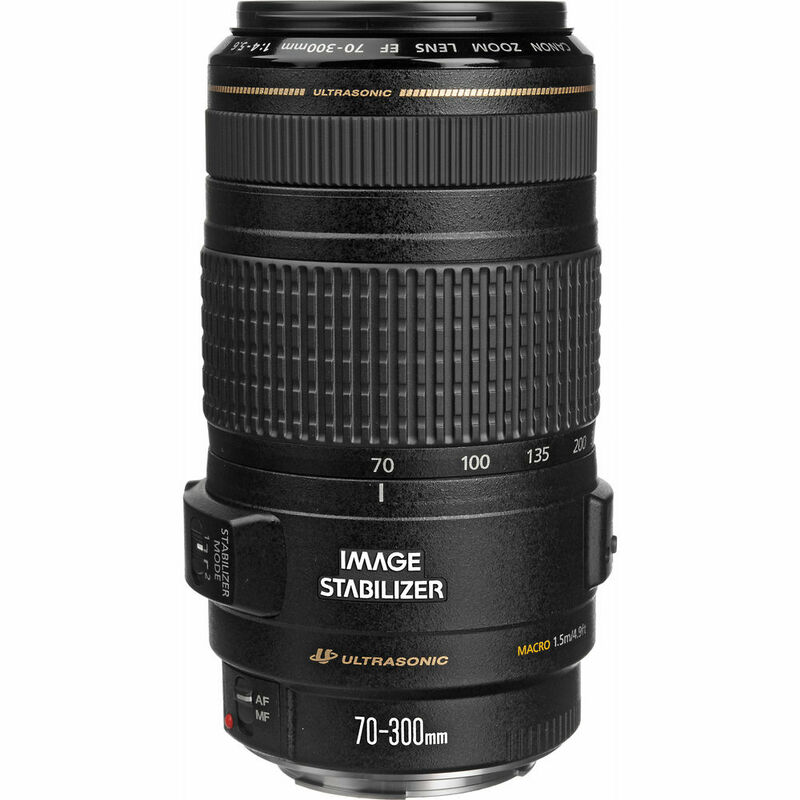 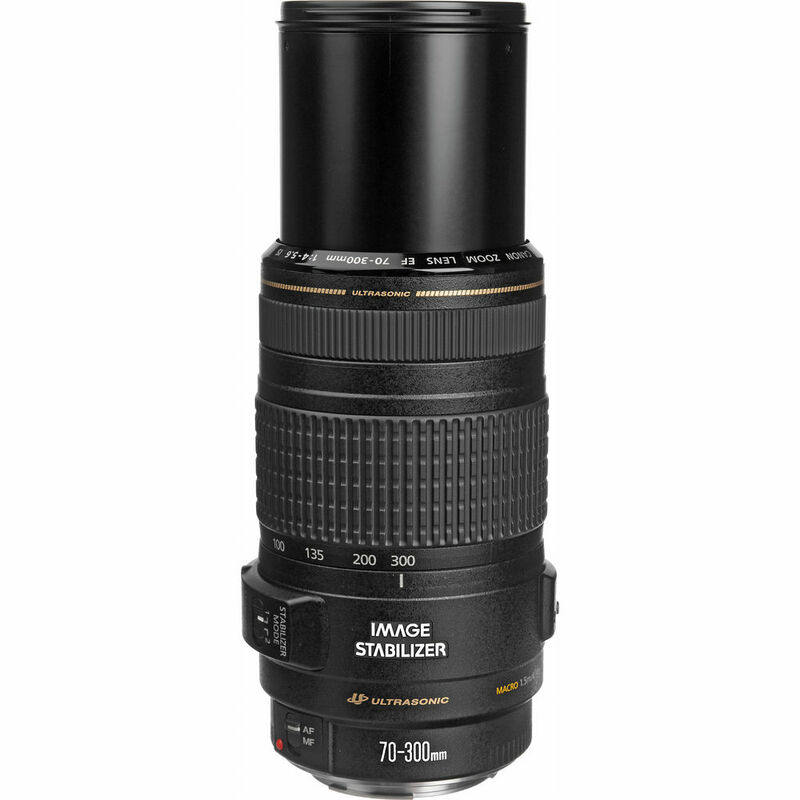 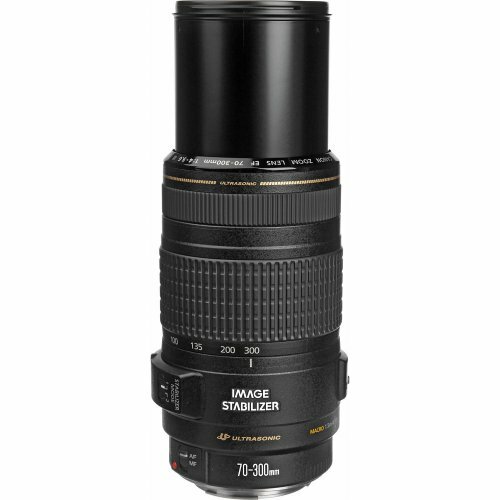 A versatile telephoto zoom lens for both film and digital cameras, it provides a wide focal range that can encompass portraiture and of course magnify distant subjects. 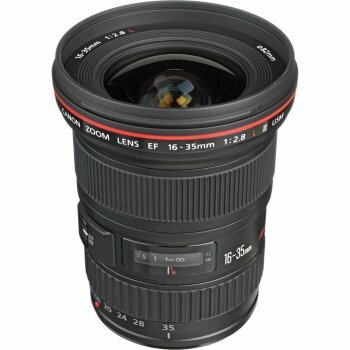 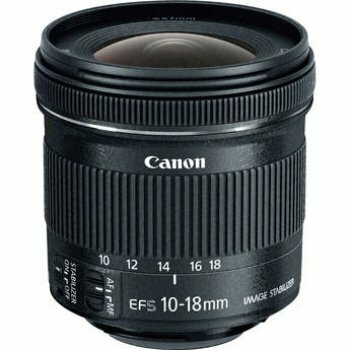 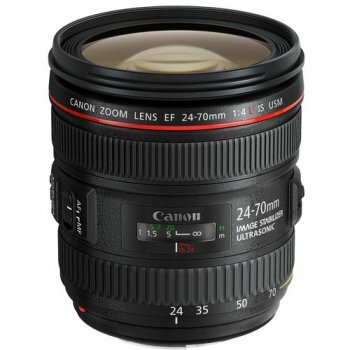 When used on an APS-C format camera, its equivalent focal length range is 112-480mm. 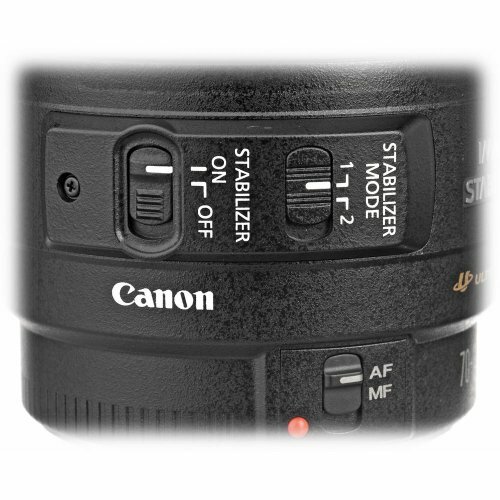 Two-mode optical image stabilization compensates for camera shake and enables shutter speeds 3-steps slower than would otherwise be possible without incurring image blur. 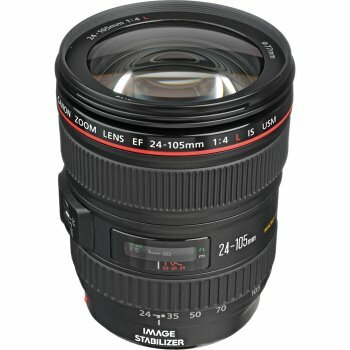 Mode 2 is best used when tracking a moving subject. An ultrasonic autofocus motor (USM) provides fast and silent AF action. UD (Ultra-low Dispersion) lens element reduces secondary spectrum aberration. 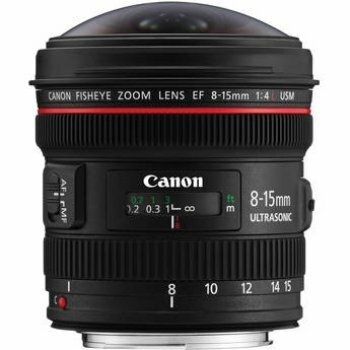 Zoom ring lock keeps zoom at 70mm and prevents lens ′creeping′ during movement or even while shooting.